Lenexa, Kan.- Dec. 22, 2016 - Grantham University, one of the oldest accredited, private, degree-granting distance education universities in the United States, is concluding its 65th birthday year dedicated to giving back to the community and ramping up service efforts for 2017. 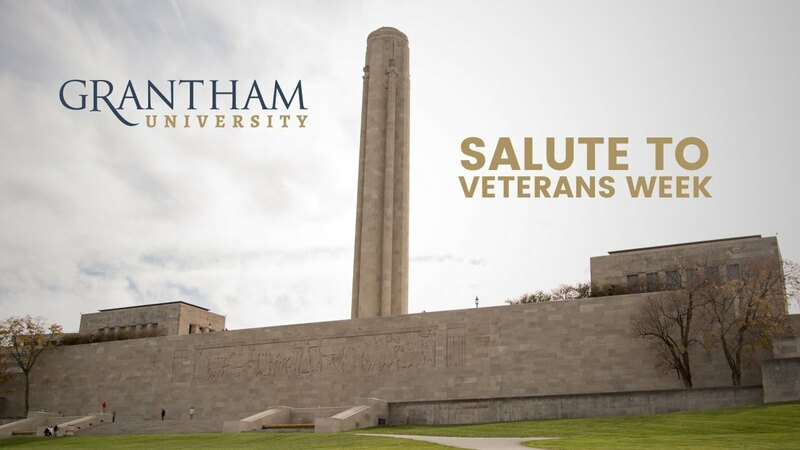 In support of the university’s philanthropic mission, Grantham Gives Back, Grantham employees launched activities in January 2016 that resulted in significant contributions of monetary donations, goods and volunteer service hours to benefit Greater Kansas City community organizations. The university also dedicated a series of events November 4-12 to the contributions of military veterans and active duty service members. Events included volunteering for Heart of America Stand Down for homeless veterans, to a Gold Star Family member at the Kansas City Chiefs Salute to Service game, hosting a military transition networking event, partnering with Honor Flight Network of Kansas City to hold a Flightless Honor Flight for area veterans, and launching an online Veterans’ Voices Writing Group at an event held at the National WWI Museum and Memorial. If your organization is in need of volunteer service hours, please contact Grantham University Community Relations Specialist Leila Gallagher at lgallagher@grantham.edu or 913-309-4804. For university scholarship opportunities visit: https://www.grantham.edu/online-college-tuition/#tab-grants-scholarships. About Grantham University: Established in 1951, today the University offers more than 50 online undergraduate and graduate degree programs and certificates. With a mission to provide quality, accessible, affordable, professionally relevant programs in a continuously changing global society, Grantham’s courses are 100 percent online, allowing students to study at home, at work, on Temporary Duty or from almost anywhere in the world. Continuously accredited since 1961 by the Distance Education Accrediting Commission (DEAC), Grantham University has earned a distinguished record as a respected and accredited distance learning university spanning more than six decades of service.